The life of our faith community began in 1662 when three local vicars were among the Church of England clergy who felt unable to accept the restrictions imposed by the Act of Uniformity. Consequently the first independent church in Needham Market was created and was one of the first three Non-Conformist Churches in Suffolk. The community has been served by some colourful ministers during the past three millennia, the most noteworthy being Dr Joseph Priestley, the scientist and discover of oxygen. The most significant event in recent years took place in 1991 when the Methodist church joined with the United Reformed Church to form Christchurch. The bond has remained strong during this past 18 years, with Christchurch being served by a unique constitution that allows for a minister from each tradition to serve together as team. Over the centuries we have substantially altered and improved our buildings to reflect the changing needs of our community, the most noteworthy in recent years, being the removal of the pews and pulpit to be replaced with chairs and movable liturgical furniture. 1662 The Act of Uniformity was introduced by the Church of England. Soon after Revd John Fairfax is ejected from his Church of England livings at Barking and started preaching in an outhouse in Needham Market belonging to Margaret Rozer. 1672 John Fairfax established the first independant Church of Needham Market in a building near to the present site. 1717 The second chapel was built on the present site and opened in 1718. 1811 A new Methodist Circuit was formed in Ipswich of which the church in Needham Market was a part. 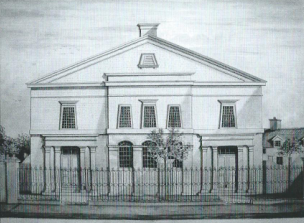 1818 The Congregational chapel was enlarged due to growing numbers. 1837 The third and present chapel was built and opened with the congregation continuing to grow. 1887 Further renovations carried out including a new pulpit and platform. 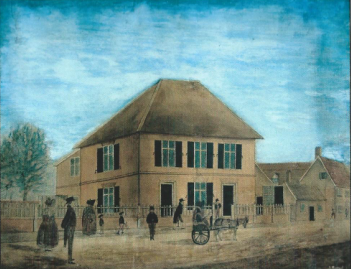 1890 The Society of Friends (the Quakers) offered the use of their Meeting House (behind what is now the Post Office) to the Needham Market Methodist Church for their meetings. 1893 The Methodists moved to the Temperance Hall in Needham Market. 1901 The Temperance Hall was purchased for use by the Methodists. 1904 A new 100 seat chapel was built in front of the Temperance Hall which was converted into a school room for the new chapel. 1912 Extensive alterations carried out to the Congregational chapel including moving the organ to its present position, a new entrance porch to the front (including the stone pillars and staircases), choir stalls and stained glass windows. 1939 Electric lights installed in the church. 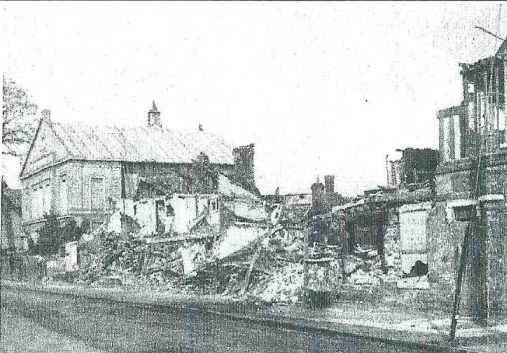 1942 Falling bombs nearby cause extensive damage to the building. 1954 The school room at the back (‘Priestly Hall’), used mainly by the Boys Brigade, was enlarged. 1957 The stained glass windows were restored (following the damage from 1942). 1971 The formation of the United Reformed Church (URC). 1973 Needham Market Methodist Church was re-assigned to the Busy St Edmunds and Sudbury circuit. 1985 The rear pews were removed from the URC chapel and a new inner porch was built. 1991 Needham Market Methodist Church joined with Needham Market United Reformed Church to for Christchurch. 1993 The pulpit and pews were removed and replaced with a movable pulpit and chairs. Priestley Hall was demolished and new halls and a kitchen were built. 2001 An extension was added to the rear hall. 2012 Proposals to alter the frontage of the church to create a welcome area were initiated – more news soon. For anyone wishing to know more a booklet is available with much more detailed information about both the history and characters of these two Needham Market church families.